Busy in the mornings and don’t have time to fix breakfast? 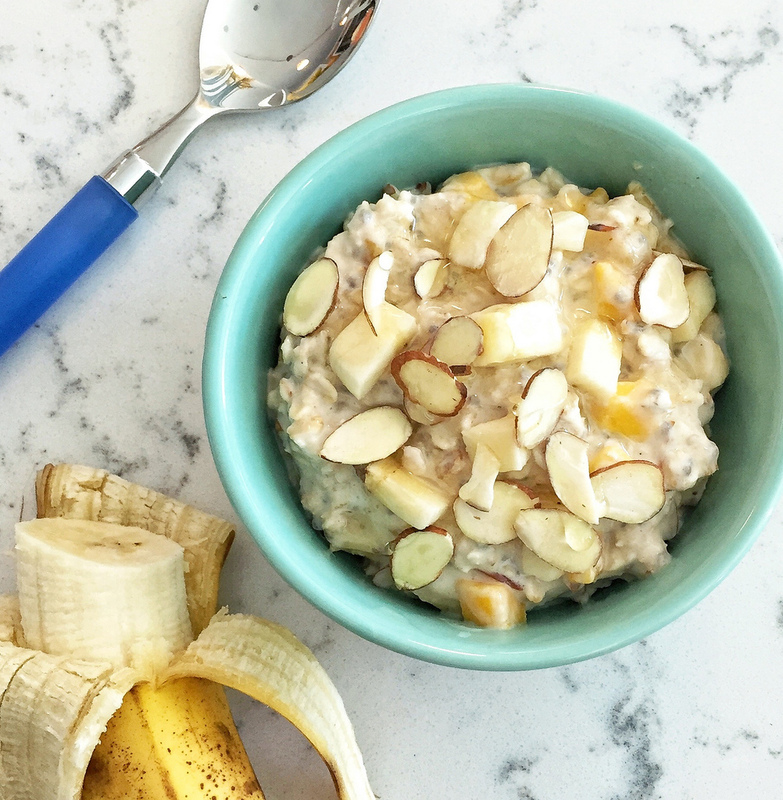 Give overnight oats a try! You make it the night before, stick it in the fridge and it’s ready to enjoy in the morning! It’s become my morning staple and there are so many ways to truly make it your own. Combine all above ingredients in a mason jar, stir thoroughly and screw the lid tightly on the jar. Place the jar in the fridge overnight and when you get up in the morning, viola! This is my blend, but you can mix it up in so many ways by starting with the base of ½ cup oats with ½ fluids and adding things in to your liking such as: pumpkin puree, dark chocolate chips, dried fruit, chopped nuts, fresh berries, Greek yogurt, cottage cheese, etc. No more skipping breakfast! Try it for an natural, healthy quick start to your morning routine!